British Baker is the market-leading title in the UK’s Baking industry. 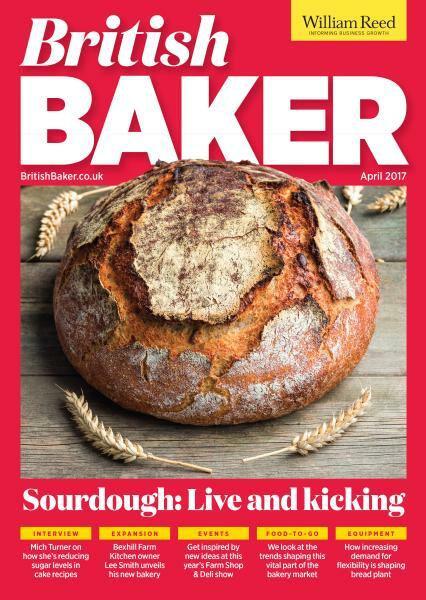 Read by plant bakeries, craft and artisan bakers, supermarkets, cake shops and coffee chains, wholesale, suppliers and manufacturers.British Baker brings the UK baking community together.Buy a single copy or subscription to British Baker magazine. The art of baking has always been about much more than simply making cakes, pastries, or other delectable sweet-treats. For years, and especially as of late due to the rise in baking television, baking is about creating spectacular works of baked arts that are just as much fun to look at as they are to eat. Additionally, baking is about creating a comprehensive business that you can use to turn your baking passion into a fulfilling career. Whether you are thinking about opening your own bakery or you just really love everything about baking, finding a good baking publication catered to your unique hobbies is not an easy task. With British Baker Magazine you will have one of the most comprehensive, detailed, informative, and entertaining magazines that is all about the art, the passion of the baker, and the business side of baking. It is considered to be one of the leading baking magazines that will show you the state of the baking industry in Britain and how you can get involved with either baking or starting your very own bakery. Every issue contains the latest news and trends within the baking industry, while at the same time providing you with detailed, expert analysis of how the market will evolve in the future, keeping you up to date about everything going on within the bakery business. Additionally, the magazine is your one stop publication for everything you would need to know in terms of improving your business, detailing practical methods that you can easily apply to help your bakery survive and prosper in the industry.